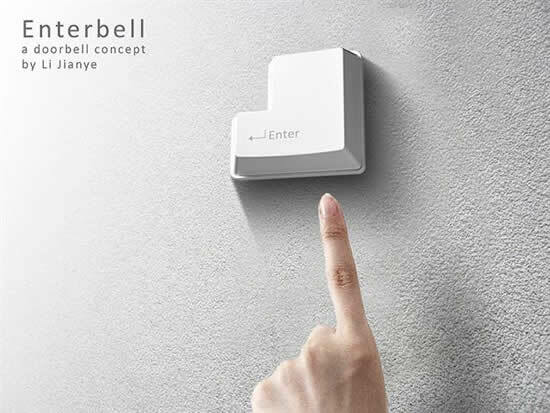 Doorbells are normally pretty ordinary but designer Li Jianye has different ideas with the ‘Enter’ doorbell. Doesn’t really words to describe it, it’s just a cool idea. Enterbell via designzen via Home Tone. Use an ESC key as the trigger for an automated door opener? Affix the “Prt Scrn” key to the trigger of a camera? A big + key for a gas pedal, and a – for the brakes?